We are involved in manufacturing and supplying of wide array of Garment Accessories. Our complete assortment includes Brass Pins, Shirt Support, Elastics, Designer Buttons, Designer Zippers & Sliver Head Pins. 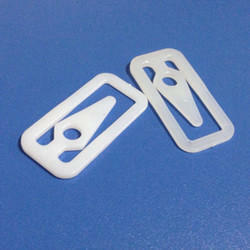 The garment accessories are made of superior grade materials like PVC, brass, nylon, cotton and polyester. Our accessories are acknowledged for the properties like light weight and superior designs. We offer our accessories in varied shapes, thicknesses and material strengths as per the requirements of the customers.